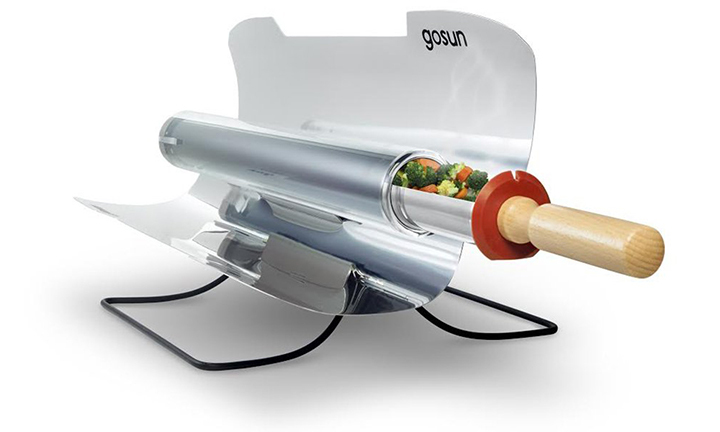 Gosun-Go is a portable solar powered oven which has more features than a traditional cooker. 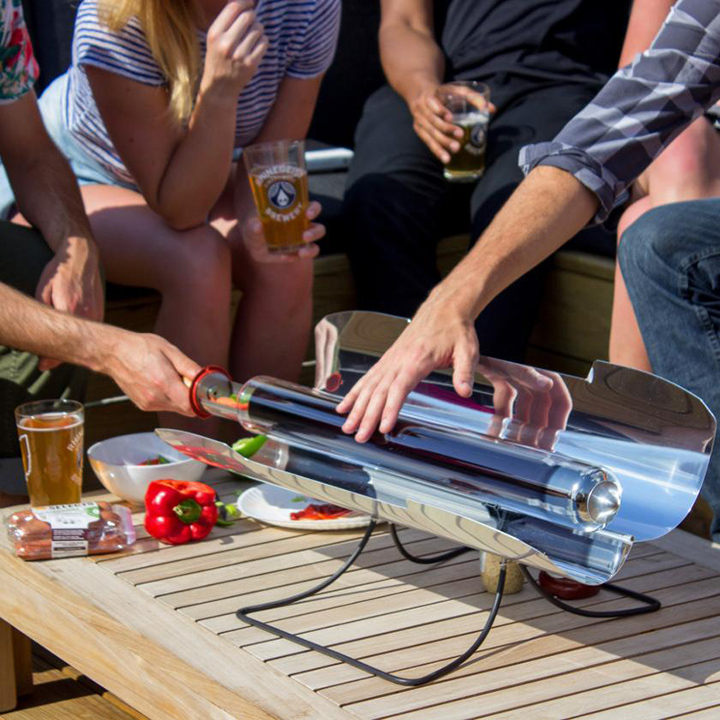 Due to the popularity and need of solar powered gadgets, Gosun has introduced 'Go' oven which can use to make meals or boil water and make drinks anywhere. 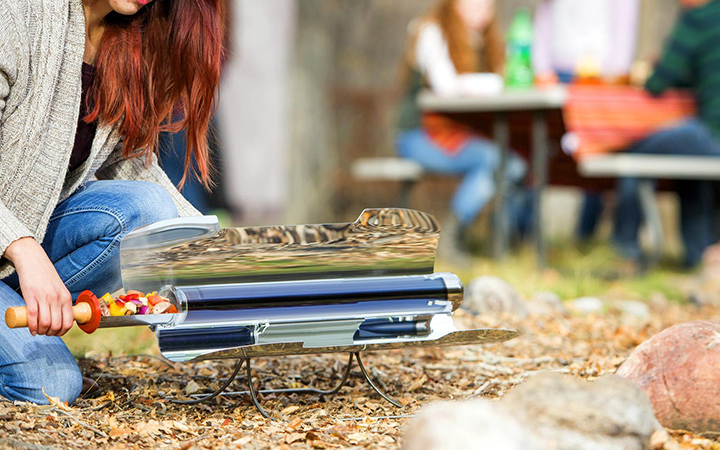 All what you need is the sunlight enough to cook what you want. 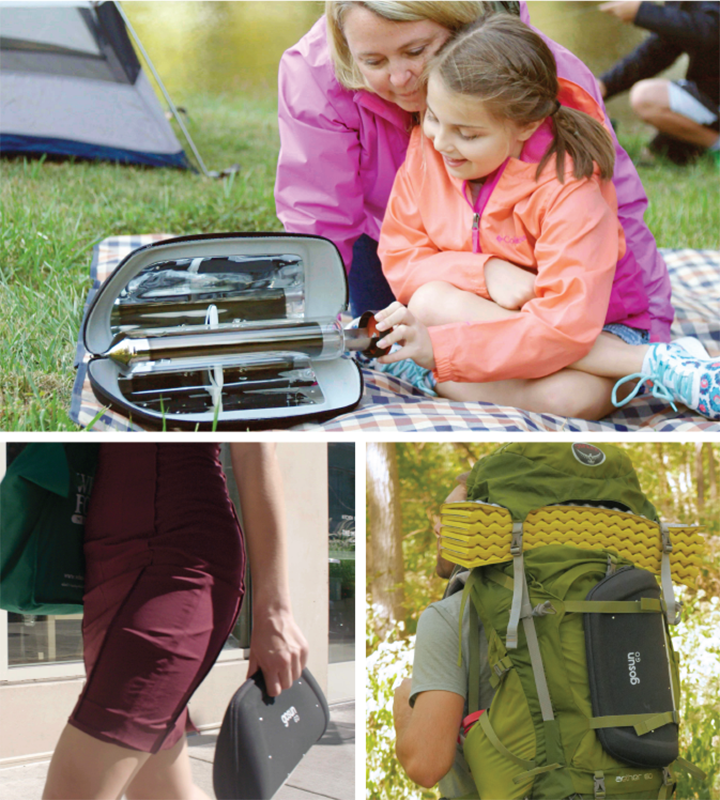 Basically it acts as a little food container in your back pack at the same time it gives you hot food. Oven has 420 ml capacity which can contain one meal and many snacks though it can vary according to your meal size. It can heat up to 500⁰F and heat stays for hours. It doesn’t take much time to make the meal most will take only 20-30 minutes. 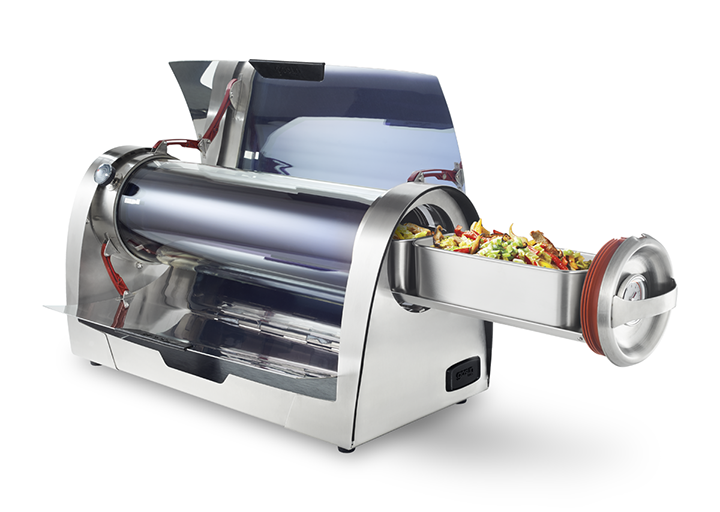 "Go" oven can make food in various methods as baking, steaming, roasting. 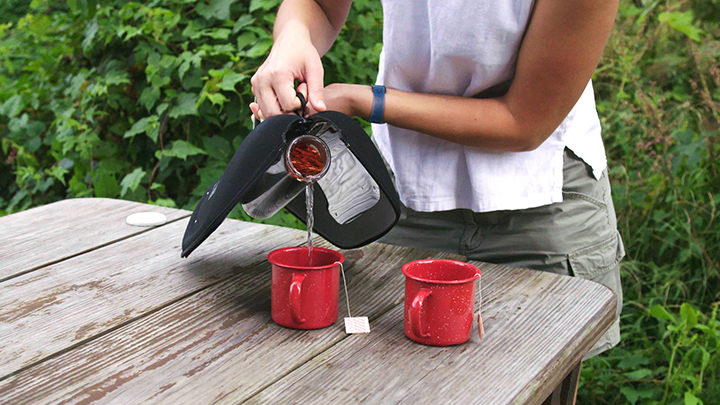 This can contain about 400ml of fluid and foor tea and coffee, it needs about 30 minutes. 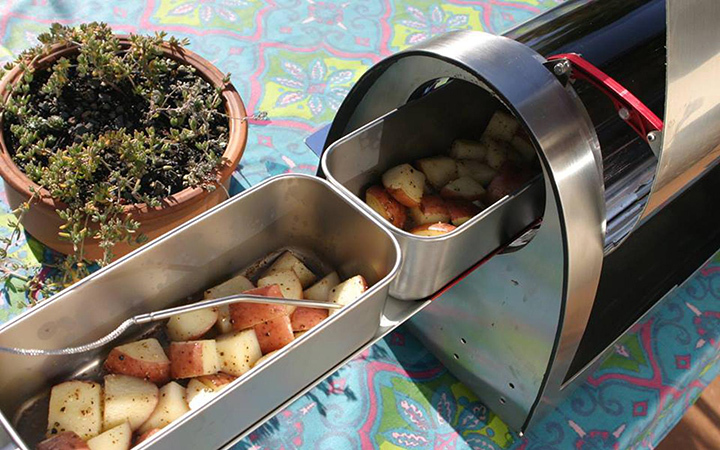 For sure, it wont be better than the stove in your kitchen, but what is better than this in a camping site or outdoor area you will not find much faster way other than a cooker or a heater. But as those needs electricity or fuel it makes a heavy luggage. 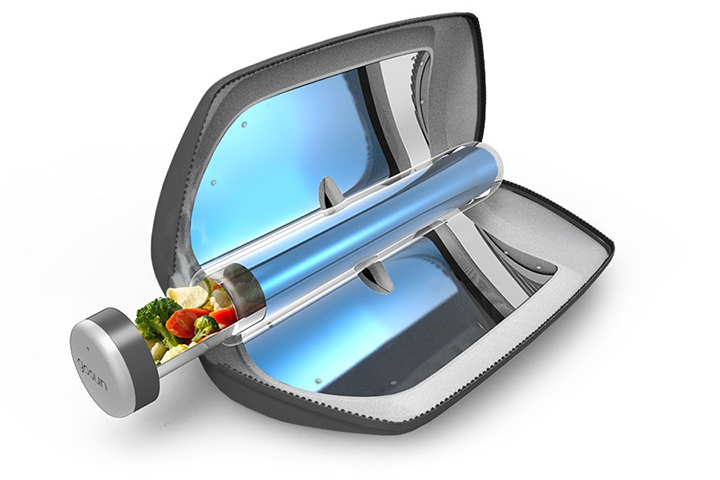 You can reheat your drinks and even can rehydrate foods using this cooker. It comes with a durable case with an attachment hook which makes it easier to transport. This is even tolerable to saltwater so, you can take it to a beach party too. 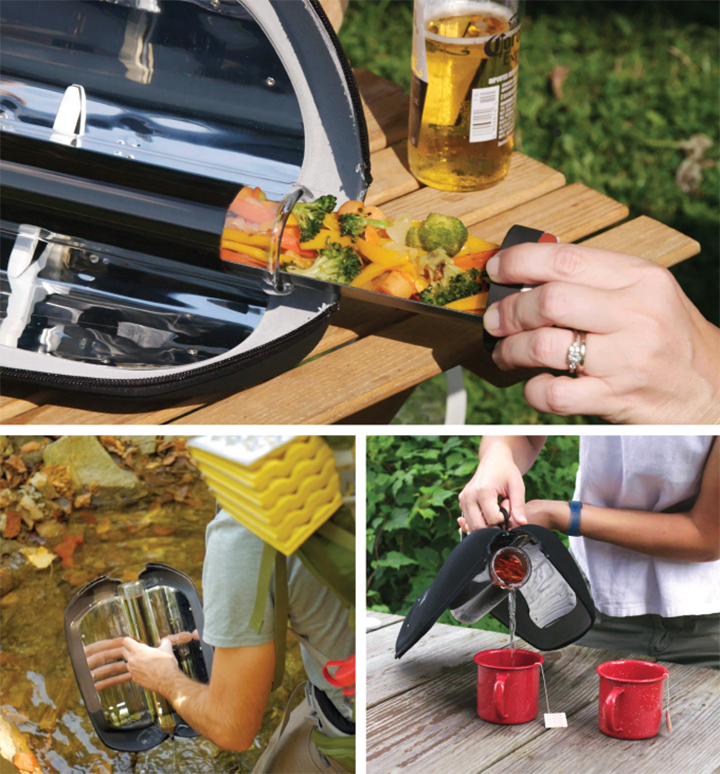 It works with little sunlight so in cloudy and gloomy weather also you can use it to cook. As vacuum tube that made of borosilicate glass can selectively absorb more than 80% of radiation it hits it can contain more heat even in cold environment. You don’t have to worry about fire hazards because it will always be cool to touch. Available for pre-order at Kickstarter.